Subscribe to stay ahead of others and to know about the latest happenings in this technology world. Also you will get Computing tips, tricks, tutorials and how-to’s that will make your Computing and mobile life easier. If its tech, its here. We also cover iOS (iPhone, iPad and iPod touch) and Android related how-to and guide articles. 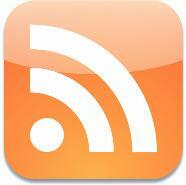 Subscribe using your favorite RSS Reader: Just click on the image below. Twitter: Yes, we Tweet. Follow us on Twitter.